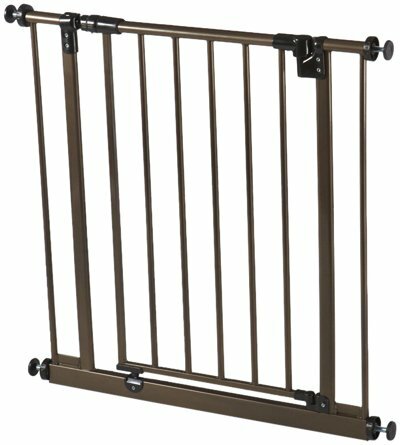 Q:How wide is the actual swinging gate? 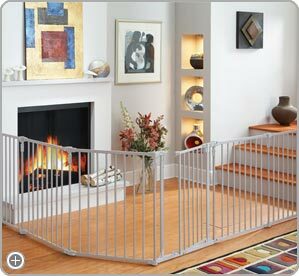 Q:What is the distance between the slats? 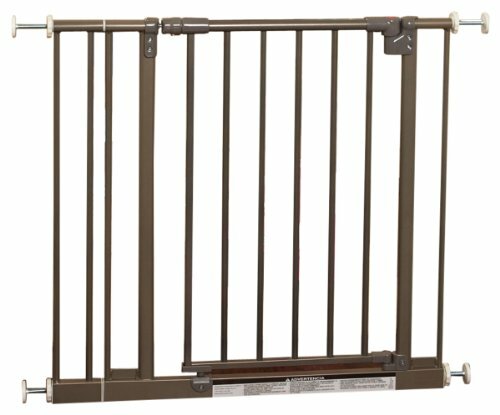 Q:Does this gate come with extra an extension? 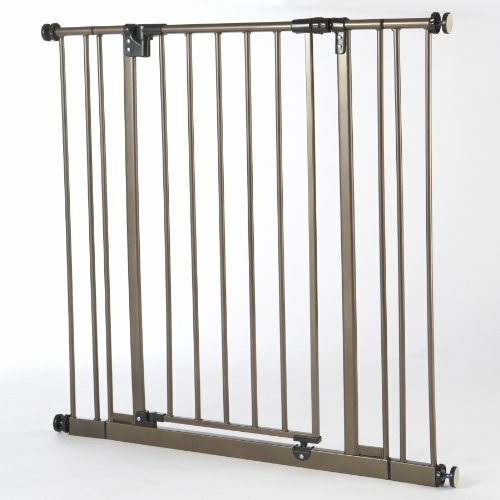 Out of the box it fits 28.2 to 46.8 inches, there are small extensions that make it stretch to 46.8″. 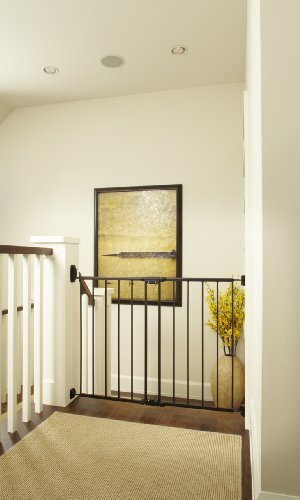 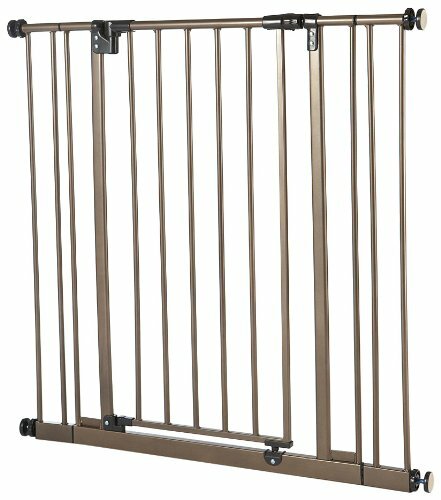 If you need longer there is a 5 bar extension that extends to 60″ total. 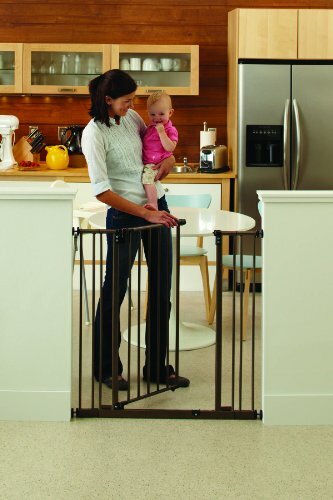 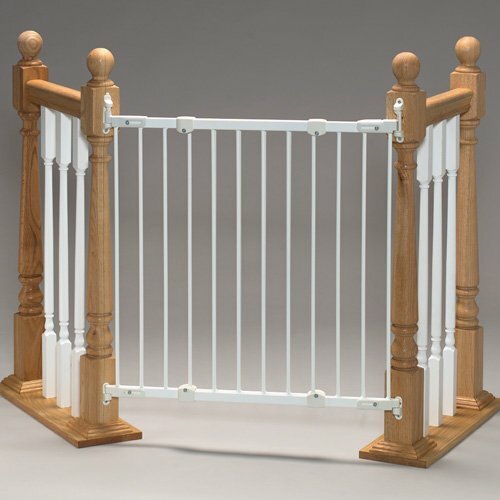 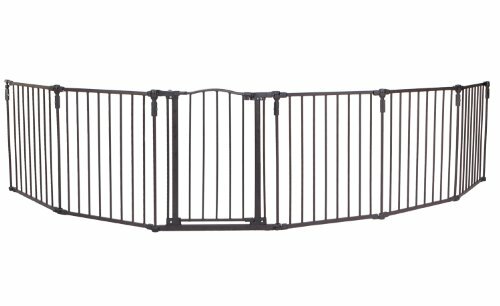 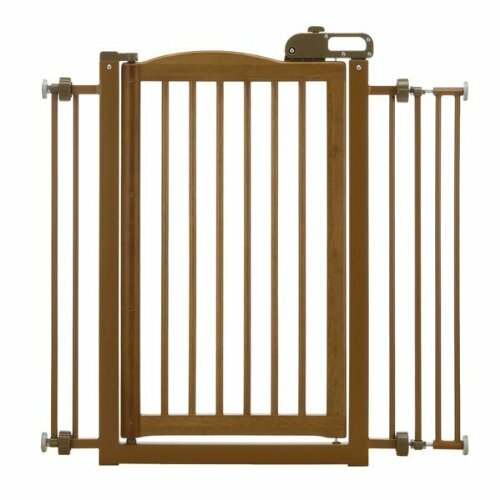 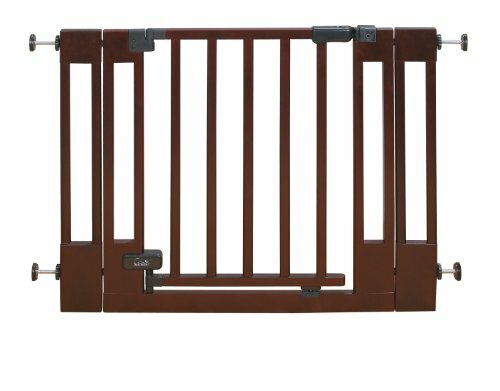 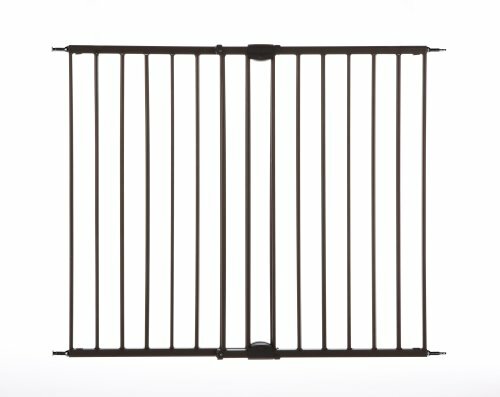 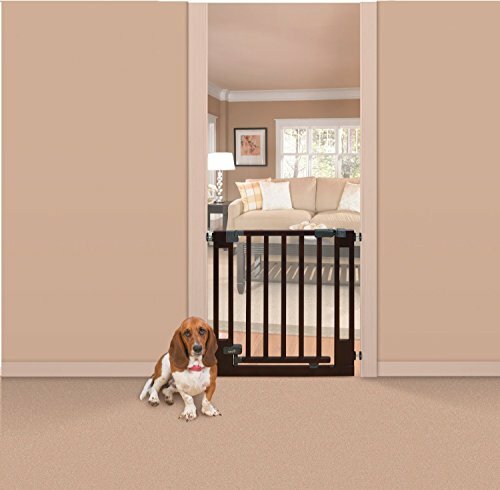 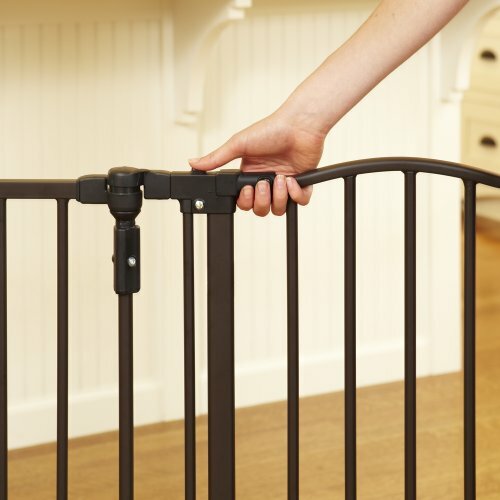 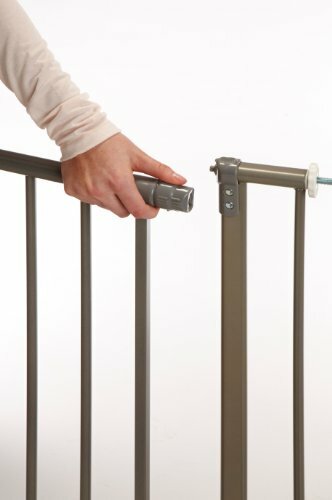 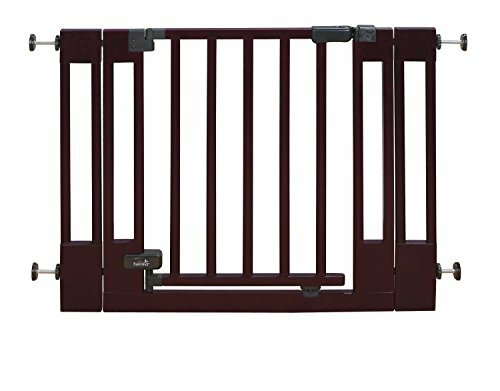 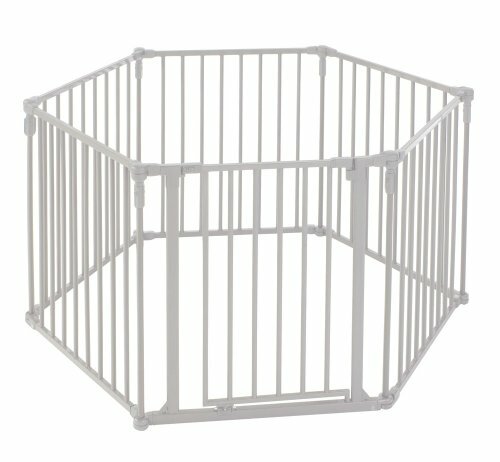 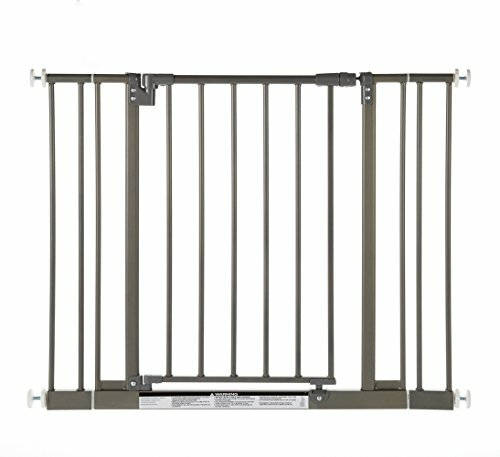 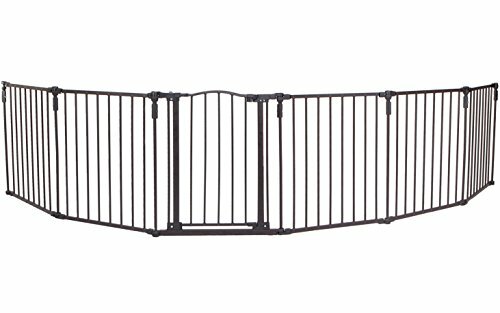 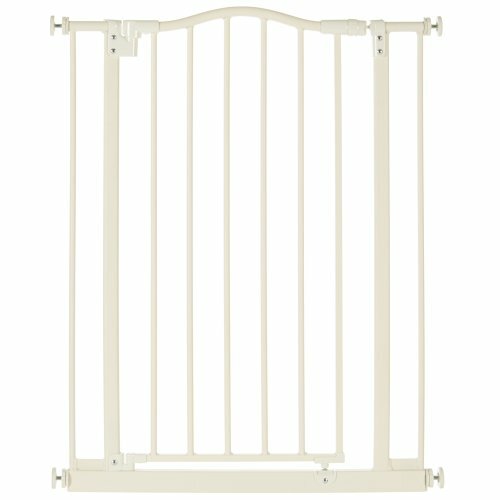 The description says: Fits opening 28″ x 46.8″Wide, 36″ High….I have an opening of about 49″ width and it worked well because the side (secure) attachments add a little more length to the 46.8″ width mentioned after you have adjusted and secured the gate, so you’ll be fine w/ out the extension.